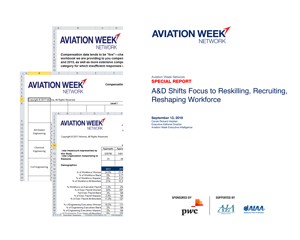 For over 20 years, Aviation Week Network has conducted the Workforce Study to answer some basic questions about the aerospace & defense (A&D) industry's ability to meet ever-changing customer requirements through the innovation, ingenuity and capability of its people. Download a complimentary 2018 Workforce Executive Summary or click below to purchase the full report and data sets. 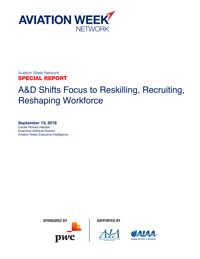 Get key insights from Aviation Week Network’s annual Workforce Study about the state of the A&D industry’s workforce, along with the data sets behind the report in excel format, so you can create your own reports.